Canine hip dysplasia occurs when the head of a dog’s femur doesn’t fit correctly in the hip socket. The joint problems that lead to hip dysplasia can appear in pups as young as four to six weeks. Even senior dogs, at six to ten years, can exhibit the first signs of dysplasia. Most cases become noticeable during a dog’s middle to later years. If you notice one or more of the following symptoms, take your dog to the vet to check for dysplasia. Diagnoses for hip dysplasia is found by taking an X-ray of your dog’s hip joint. Diet plays a significant role in hip dysplasia. Overweight puppies have a higher risk of developing hip dysplasia than puppies who eat a controlled diet. Extra weight weakens the femur and head socket connection. Added weight increases the incidents of dysplasia in large breeds more than smaller breeds. Decisions made by pet parents early in a pup’s life may also affect the chance of hip dysplasia. 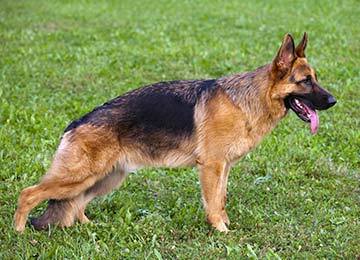 According to "Neutering of German Shepherd Dogs: associated joint disorders, cancersand urinary incontinence,” by Benjamin and Lynette Hart, et al. , German Shepards sprayed or neutered before the age of one have an increased risk of hip dysplasia and other joint disorders. Ask your breeder if your dog has a family history of dysplasia. If so, watch for symptoms and treat them as soon as they appear. Although any breed can develop hip dysplasia, large breeds are more likely to have the condition due to the excess weight on their joints. Vets can treat dysplasia successfully if it’s diagnosed early enough. Options include adding the appropriate supplements into the dog’s diet, surgery, exercise and anti-inflammatory medications. 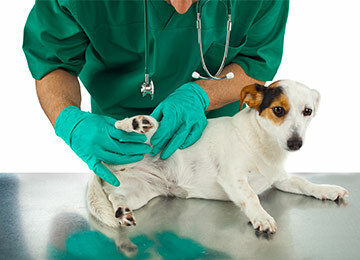 The type of treatment depends on your dog’s age, general health and the severity of joint damage. 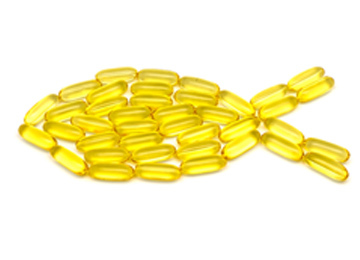 Fish oil, chondroitin sulfate, hyaluronic acid or glucosaminesupplements strengthen hip joints without the expense or side effects of prescription medication. Adding prebiotics with papaya enzymes to your dog’s water at meal time can protect against bone degeneration and arthritis associated with hip dysplasia. Homemade or organic dog foods with antioxidant-rich vegetables, grains, and whole meats help to strengthen joints and control weight. 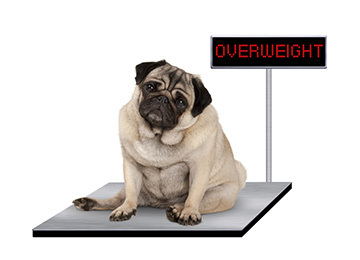 Ask your vet to recommend the ideal weight for your dog and the best food for weight maintenance. A minimally invasive surgery, Juvenile Pubic Symphysiodesis changes the angle of the hips to improve joint movement. The surgeon fuses two pelvic bones to let the other bones in the dog’s pelvis develop normally. This operation is performed on puppies five months or younger. A femoral head and neck excision, or ostectomy, is recommended for older dogs and dogs under 50 pounds. The veterinary surgeon replaces the head of the femur with an artificial joint. This surgery relieves pain but restores only some of the dog's range of motion. During a triple pelvic osteotomy, a surgeon realigns the femur head with the hip socket to repair the joint. A painful surgery that's typically performed on pups less than two years because they recover faster. TPO restores full use of the hip joints. The most complicated and invasive remedy for hip dysplasia in dogs, THR is a last-resort if your dog doesn't respond to more conservative treatment. This surgery is only performed on adult dogs with arthritis and advanced joint degeneration. A surgeon replaces the damaged hip joint with an artificial one. 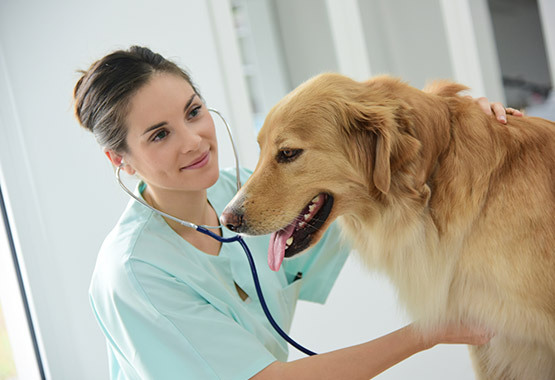 This procedure allows the dog to move freely and without pain. Talk to your vet about tailoring an exercise regimen for your dog. Exercise gradually strengthens the muscles around the hip joint. Stronger muscles help stabilize damaged hip joints. 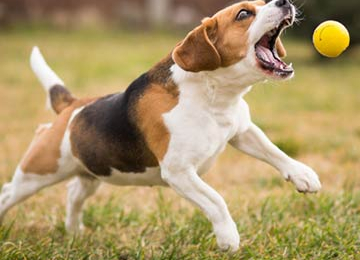 Allow your dog to warm up before exercise with a short walk in the yard or a game of catch. Schedule short exercises sessions a few times a day instead of one long one. A fifteen-minute session three times a day is better than a forty-five-minute walk. Hydrotherapy, an aquatic exercise designed to strengthen weak hind leg muscles, offers one of the best non-surgical therapies for dysplasia. 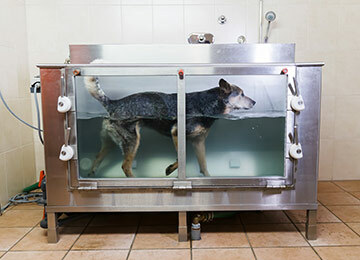 Your dog walks on a treadmill in a half-filled water tank. The resistance of the water while your dog exercises helps muscle development. Use exercise as a preventive measure during the first two months of your puppy’s life. According to Housing and exercise related risk factors associated with the development of hip dysplasia by R. Krontviet, A. Nødtvet, et al. , indoor puppies raised on slippery floors are more likely to develop hip dysplasia than pups who play in parks and on soft, uneven surfaces. The exercise a puppy gets during the first eight weeks of life determines how well hips and joints develop. Ensure your pup plays and exercises enough on appropriate surfaces during this formative phase. Bring your dog inside during damp, cold weather, as this exacerbates dysplasia. If your home has slippery tile, marble or laminate flooring, cover it with carpet or a throw rug to make walking easier for your dog. Use elevated food and water bowls to prevent your dog from bending over to eat. 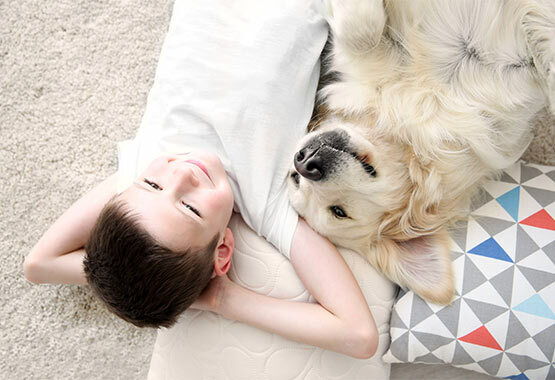 To make bedtime more comfortable, buy an orthopedic memory foam dog bed. Decisions made by pet parents early in a pup’s life may also affect the chance of hip dysplasia. According to "Neutering of German Shepherd Dogs: associated joint disorders, cancers and urinary incontinence,” by Benjamin and Lynette Hart, et al. 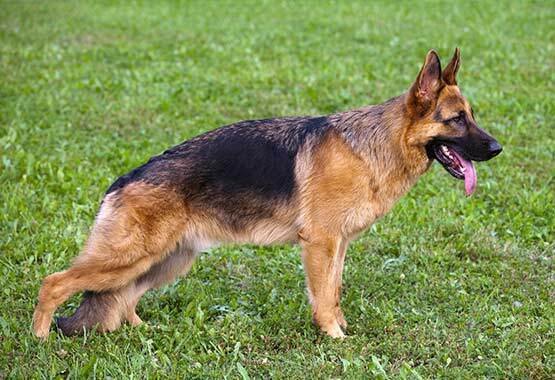 , German Shepards sprayed or neutered before the age of one have an increased risk of hip dysplasia and other joint disorders. 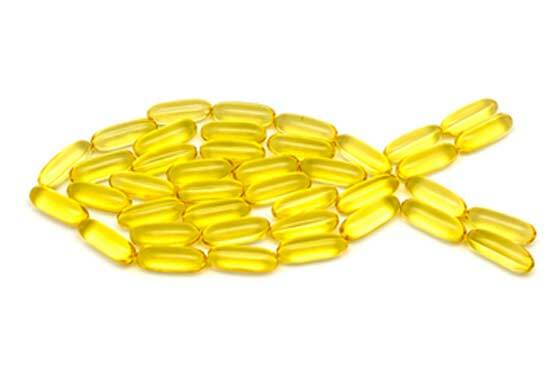 Fish oil, chondroitin sulfate, hyaluronic acid or glucosamine supplements strengthen hip joints without the expense or side effects of prescription medication. The Benefits of Glucosamine Supplements For Your Dog's Joint Pain.